Color autographed photo card of Nascar driver Tony Stewart, with arms crossed, standing next to of his No. 14 Office Depot Chevrolet Impala SS race car. 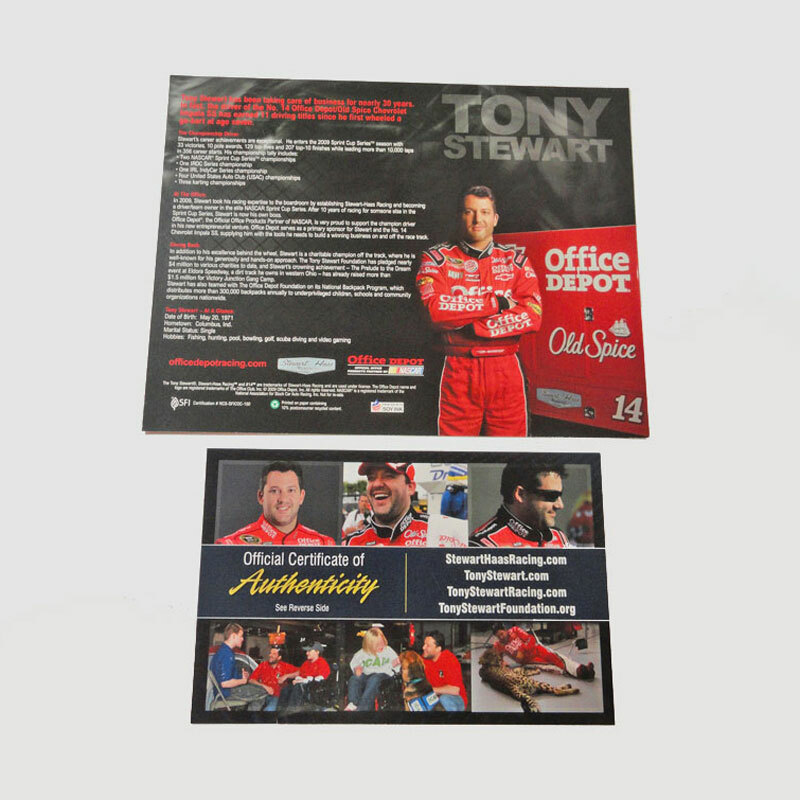 The back has some information about Tony Stewart and his relationship with Office Depot. 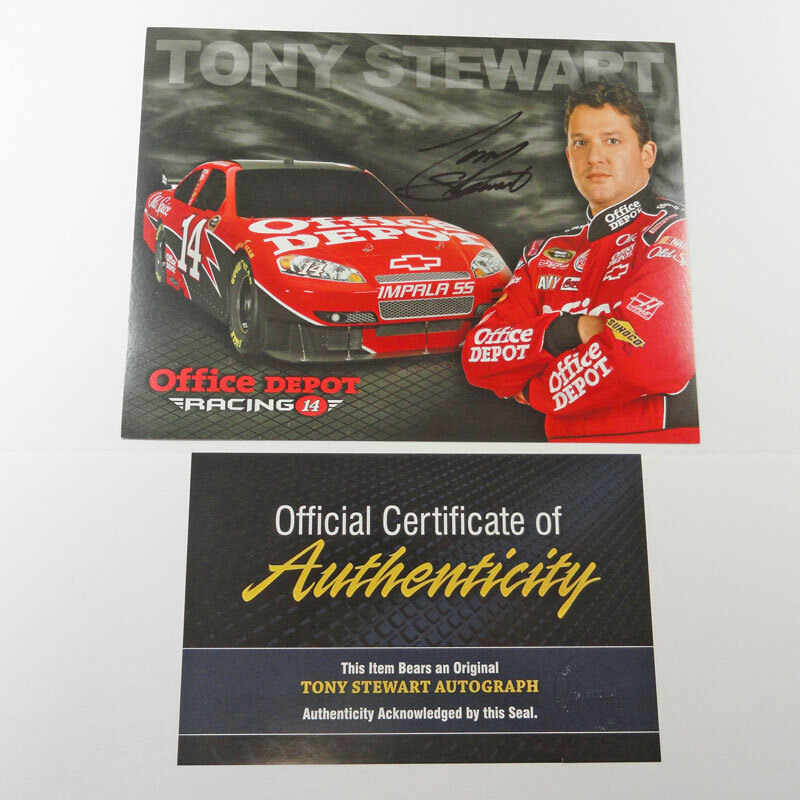 Also included is an official sealed Certificate of Authenticity stating that this item bears an original Tony Stewart autograph. 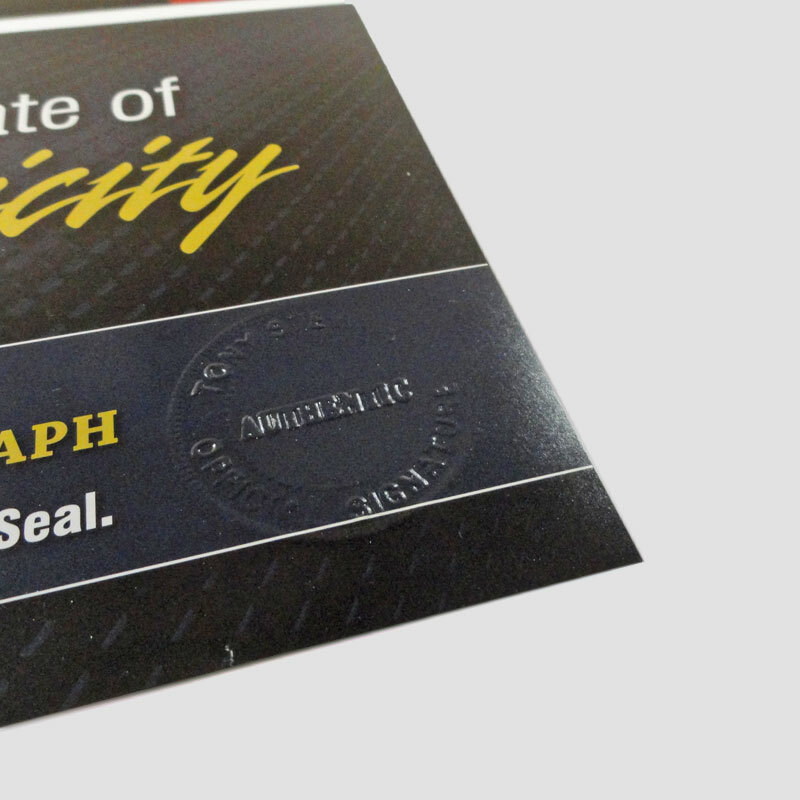 Authenticity acknowledged by this seal.